The new Flathead Forest Plan, as well as the associated grizzly bear management amendments, went into effect late last year. Here, delayed by the recent government shutdown, is the official press release announcing them . 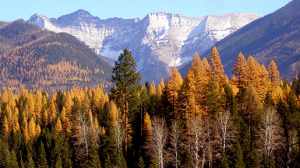 . .
Kalispell, MT., February 1, 2019 – After four years of collaborative effort and public input, the Flathead National Forest has released a Record of Decision (ROD) for the Forest’s Land Management Plan (Forest Plan) and associated final environmental impact statement (FEIS). A separate ROD was signed and released for the amendments to the Helena, Lewis and Clark, Kootenai and Lolo National Forests’ land management plans that incorporate the Northern Continental Divide Ecosystem grizzly bear habitat management direction as forest plan direction (NCDE amendments). The 2018 Forest Plan replaces the 1986 Plan, updating the long-term strategic vision for managing the Forest’s 2.4 million acres of lands in northwest Montana. The Forest Plan is the second in the nation to implement the Forest Service’s 2012 Land Management Planning Rule (36 CFR 219), which facilitates goals of the U.S. Department of Agriculture in promoting sound land stewardship in partnership with communities. The Notice of Plan Approval was published in the Federal Register on December 27, 2018. The Forest Plan went into effect 30 days after publication and the NCDE amendments went into effect upon publication of the Notice of Plan Approval on December 27, 2018. The Notice of Plan Approval, signed ROD, Forest Plan, and FEIS are available at www.fs.usda.gov/goto/flathead/fpr. The signed ROD for the NCDE amendments, are available at www.fs.usda.gov/goto/flathead/gbamend.